Luckily, this fantastic landscape exists. It's a special place. You climb it with difficulty, it takes time and determination. It takes one moment to come down, better if proceeding zigzag, a little 'on one side, a little' on the other, moving to the rhythm. The skis on your feet, the snow and the icy wind in your face. Inside and out, smiling for the joy of not being alone but with the person you love. 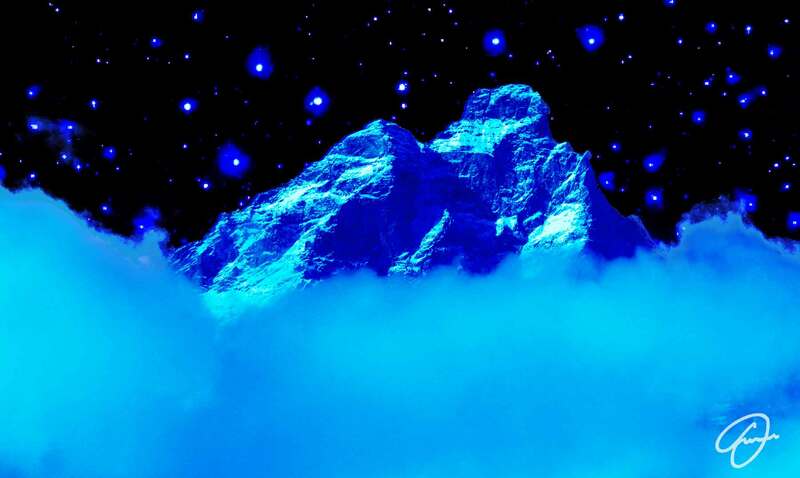 When night falls, the clouds lie under the summit as a pillow. Good night!